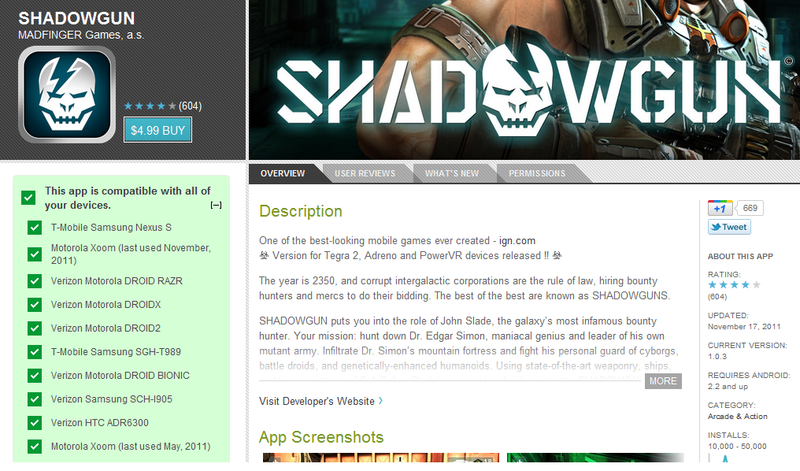 The previous releases of ShadowGun by Madfinger Games and Sprinkle were both for Tegra 2 devices only. There should be plenty of happy gamers today though, as both games have dropped processor restrictions and shall now work on different types of Android devices. As you an see in the pic above, all my glorious devices are compatible and that makes me a happy camper. To top it off, there has been a free version of Sprinkle released and it rocks. Go have some fun!